Customers using our CRM Portal http://crm.execu-tech.com/ must install an interface that will sync PMS data with the CRM server. The CRM server will then run queries against this data and send out emails to the appropriate guests, depending on variables in the email campaign. These could be guests due to arrive in a week, checked out yesterday, stayed with you in the past year and live in Chicago, etc. The interface should be set to run as a Scheduled Task on the same computer where the PMS software is installed. There will be nothing in the line "Add arguments (optional)"
The executable name will be "CRMSync.exe" rather than "wrun32.exe"
Execu/Tech will provide you with the database name needed in the settings. It's OK to run it manually, on the desktop, as long as it remains running all the time. If it isn't running, it won't update the CRM database. 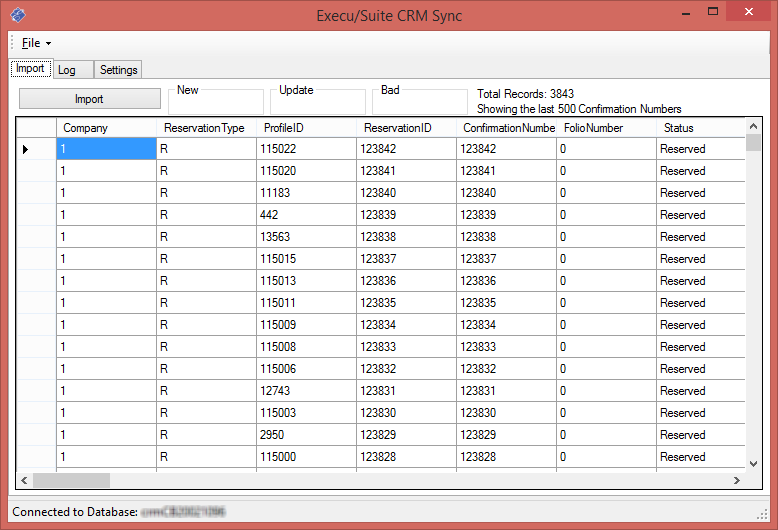 Download the latest CRMSync.exe here. Extract this into your PMS software folder, run it and enter the database name in the settings tab.